Google already announced that the Android 4.1 Jelly Bean update will hit the Motorola Xoom, Samsung Galaxy Nexus and Google Nexus S in July, but a wider release for the update is still tightly under wraps. Either that, or most manufacturers simply don't know when their customers will be allowed to upgrade, as they've reportedly responded to queries with an almost universal "no comment." 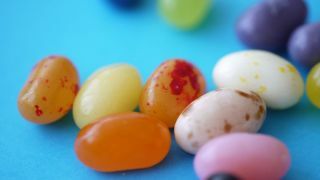 A published report inquired when Acer, Asus, HTC, LG, Motorola, and Samsung would roll out Android 4.1 Jelly Bean to their devices. Acer, Asus and HTC had no comment. LG had nothing to announce. Motorola failed to respond in a timely manner. Only Samsung was slightly more forthcoming, saying, "Samsung will soon announce which additional devices are eligible for the Jelly Bean update." "Samsung has delivered the most Nexus-branded lead OS devices," the statement continued, "and we are pleased that Google will be bringing Samsung Galaxy Nexus and Nexus S customers the first experiences of Jelly Bean on a handheld device." At last year's Google I/O summit, the search giant promised to help Android device manufacturers "create new guidelines for how quickly devices will get updated after new Android platform releases." The guidelines would hypothetically have helped avoid the current situation, which has customers excited about the Jelly Bean upgrade but frustrated at not knowing when or if their devices will receive it. So where are these guidelines now? With such a variety of hardware partners, Google is in a unique position. Apple has only to worry about themselves, and Microsoft and Nokia work closely on the Windows Phone platform. Google's model with Android, though, has caused the platform to develop over a large and highly fractured array of devices from a number of manufacturers, and coordinating a large-scale OS update must be practically impossible. Google recently announced plans to try to alleviate the strain on their hardware partners by releasing a "Platform Development Kit" (PDK) before any major OS update. The PDK is "like the SDK [Software Development Kit], but for Android hardware developers," said Hugo Barra, Android's director of product management. He said they started with Jelly Bean, but only gave the PDK to "a few partners." So customers frustrated with Android OS update delays and fickle manufacturers might be waiting until Android 4.2, 5.0 or beyond for a truly coordinated release. TechRadar reached out to Google with several questions and will update the story when the company responds.